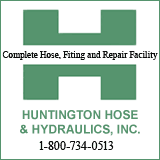 HUNTINGTON, WV (HNN) – A Comair flight from Atlanta diverted to Lexington, Ky., after the landing gear would not lower at Charleston, WV. Nine of Marshall University’s football coaches were on board. Although flight attendants informed passengers only of the diversion, many of those on board anticipated a possible crash landing. The plane had made approaches to Yeager Airport and pulled away. Fortunately, the angels smiled on those aboard. The plane gear lowered properly at Bluegrass Airport which has a longer runway than Charleston. The emergency brought visions of the 1970 air crash to Herd fans. The Nov. 14, 1970 crash at Tri State Airport took the lives of all on board, including the returning Herd football team, coaches and fans. 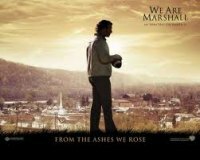 Two movies have been made concerning the crash and events thereafter… “We Are Marshall” which follows historic events in a fictionalized scenario and “Ashes to Glory,” which is a documentary of the crash. According to a published report, MU’s coaches did not hang around for a replacement flight. They drove two hours back to Huntington. Ironically, WSAZ-TV sports director Keith Morehouse appears to have broke the story. He lost his father, Gene, in the 1970 tragedy.